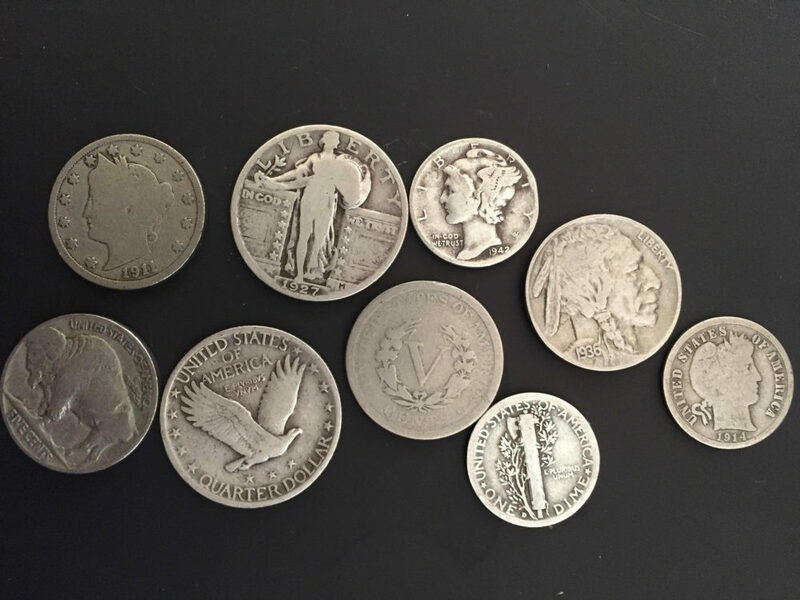 Want to find rare coins in your pocket change and make some real money in the process? A lot of folks ask me what types of coins in circulation they should be looking for to make money. It’s amazing to think how many coins are floating around in circulation right now that are worth many times over their face values. Some are even worth $50, $100, $500 or more. Crazy, right? While I’ll never say finding these coins will be easy (it won’t be — trust me), I can tell you there are legitimate rare coins in circulation at this moment and all you’ve got to do is look for them. Error coins are coins that were made incorrectly by the U.S. Mint. The list of error coin varieties above isn’t all-inclusive, but it’s a good starting point to help you identify the diversity of error coins that exist. Some of these errors (such as off-center coins) are sometimes worth only a few dollars. Others (like off-metal errors) are typically worth hundreds and even thousands of dollars. Unlike an error coin — which is generally created either in the process of preparing planchets (coin blanks) or when a die strikes a blank planchet — a coin with a die variety is one of perhaps only a few or maybe as many as several thousand that contain the same design mistake. Among the most popular types of die varieties are doubled die coins. Unlike double-struck error coins — which are created when the blank planchet is struck multiple times by the die — a double die coin is made when the hub (a device that impresses an image upon a die) accidentally doubles part or all of the design on the die. This doubling may become apparent if the die rotated during the creation process. While you won’t necessarily find any of the older coin varieties listed above in pocket change, the pieces mentioned here will at least give you an idea as to the number of coin design varieties that exist. Many die varieties are worth many times over face value — such as the 1982 no-P Roosevelt dime (which is one of the most valuable die varieties you’re most likely to find in circulation) that has a value of $100 or more. Most of the numismatic questions I receive concern the values of old coins and rare coins. Let’s face it, old coins and rare coins usually get the most attention when it comes to the realm of valuable coins. Numismatically untrained individuals may not realize how much value and true rarity lay behind some types of obscure modern die varieties or lesser-known error coins. Yet, many who have little knowledge of coins from the collector perspective may think they’ve hit it rich if they land a 1941 Lincoln penny or a 1921 Morgan dollar — both old, yet very common coins. It’s pretty natural and forgivable to think that the older a coin is, the more it’s worth. But that doesn’t always ring true in numismatics. You have to know which specific old coins are rare. Some rare, old coins like the 1909-S VDB Lincoln cent are worth $500 to $1,500 or more. One of the rarest old coins is the 1794 Flowing Hair dollar. The highest-graded specimen of that became the most valuable coin ever sold when it commanded more than $10 million at auction in 2013. Conventional wisdom may tell you that you’ll never find silver or even gold coins in pocket change. It’s extremely unlikely that you’ll find any gold coins in your spare change, but just to help inspire you on the very real possibility of finding a gold coin in circulation these days, check out this cool article by numismatic expert Dave Harper. Silver coins are relatively easier to find in circulation than gold coins. Do note that I said “relatively.” You may need to go through thousands of dimes, quarters, and half dollars before finding your first silver coin. In the video above, you’ll see I found all those silver Kennedy half dollars by searching through bank rolls. How do you get bank rolls? It’s really as simple as going to your bank! In fact, almost any coin collecting pro will tell you looking through bank rolls (or bags) of coins is your best bet in finding old, rare, or otherwise valuable coins. Roll searching isn’t necessarily expensive — since you can return the coins you don’t want to keep and exchange them for cash to spend or more rolls of coins. The only cost to you, really, is the face value of the coins you wish to keep. 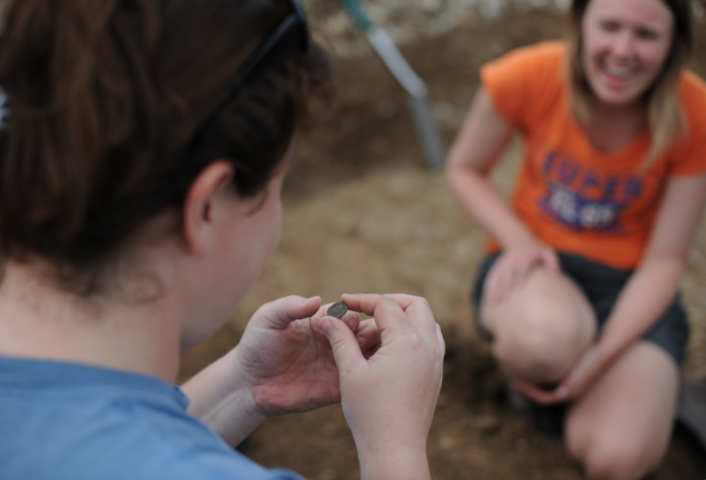 The most difficult part in roll searching is the time it takes to go through hundreds or thousands of coins for the chance of finding a few possibly rare coins. Of course, the fun of roll searching is the thrill of the hunt! How Do You Turn Rare Coins Into Cash? OK, so let’s say you’ve hit the jackpot by finding a 1909-S VDB Lincoln cent. How do transform that penny into $500 or $1,000? You sell it to a coin collector or a coin dealer. Pawn shops and jewelers are the last places to sell coins because, in general, the staff at those places aren’t knowledgeable on coins, and they won’t pay you as much as you could get from a reputable coin dealer with a lot of available buying capital. If you’re looking for reputable coin dealers in your neck of the woods, check out the Professional Numismatists Guild website, which has a great list of coin dealers across the United States. While the list doesn’t include every coin dealer, it’s a great springboard for finding one near you who you can visit to buy and sell coins. If you can’t find a coin dealer convenient to you, or if you prefer to sell your rare coins directly to another coin collector, then you might consider selling your coins on eBay. Just be sure to carefully check the collector’s ratings on eBay first.